There will be a free preview of MLB Extra Innings April 3 – 10 on DirecTV, Dish Network, Verizon FIOS, Cox, Time Warner Cable, Cablevision, Comcast, Brighthouse, Charter, and RCN. Not FIOS…just spent 45 minutes in the phone with them to learn they aren’t offering it! FIRST time in a while that MLB Extra Innings (or ANY free preview) was available on Cablevision in a while! As usual Verizon is cheating the consumers. It is NOT available on FIOS. I have FIOS in NJ and I’m watching it right now. Free preview isn’t in HD though. I am watching it in HD on FiOS on Long Island. It’s amazing how Verizon can never get their act together in all their regions at the same time. Cannot locate any MLB Extra Innings game being broadcast on DISH as a “Free Preview”. I have Fios. And i am getting MLB Extra Innings. Is free NHL Center Ice on TWC today. As of 4/16/16…I’m still getting free previews from Verizon Fios here in Northern Virginia. I called & made sure Verizon didn’t continue or renew my 2015 MLB Extra INNINGS subscription. Couldn’t afford the full price. 2015 I subscribed after the All-Star Break at a much cheaper price. This year, I recently subscribed to a $80.00 trial to watch only Pirates games on my cell, iPad, &/or desktop computer. I’ve checked my Verizon Fios bill to make sure I’m not being charged for MLB Xtra Innings…& nothing so far! I’m enjoying the free preview! Also still getting the extra innings channels free on time warner cable. Haven’t called to make sure I’m not being charged for it, cause don’t want them to cancel it haha. As of 04/21/2016 In Lumberton, NJ, I still get the MLB Extra Innings channels on Fios channels 1466 to 1474. When this preview started on 04/03 I was unable to watch, so I called Verizon. After 2 hours and talking to 3 different people I hung up. They kept telling me there was no preview and wanted to add it to my account. I said no – told them I received an email from Verizon that informed me of the free preview and that it was from 4/03 to 4/10/16, but they acted like they never heard about it!? Anyway, I tried rebooting my set-top box and it worked! I was able to view the channels. Their customer service reps, in India from the sound of the people I spoke with, are really bad! Other people in the surrounding areas also have continued getting these channels, so maybe the previews were extended? 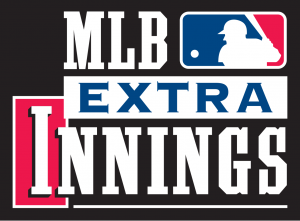 Never had Mlb Extra Innings, so if I order this package (80 “out of market” games a week) through Comcast, would they blackout any Giants, Dodgers, A’s, Angels – California Games? Is the Central Valley considered “In-Market” cities for these teams? (live near Fresno, Ca.